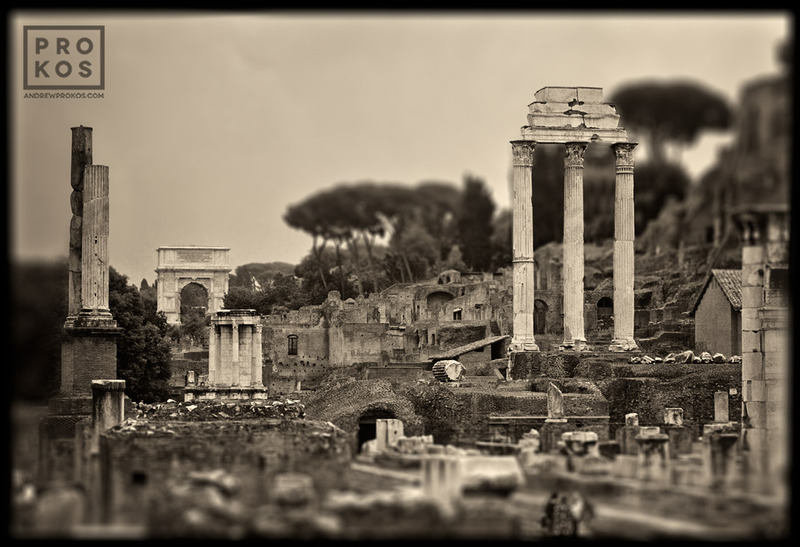 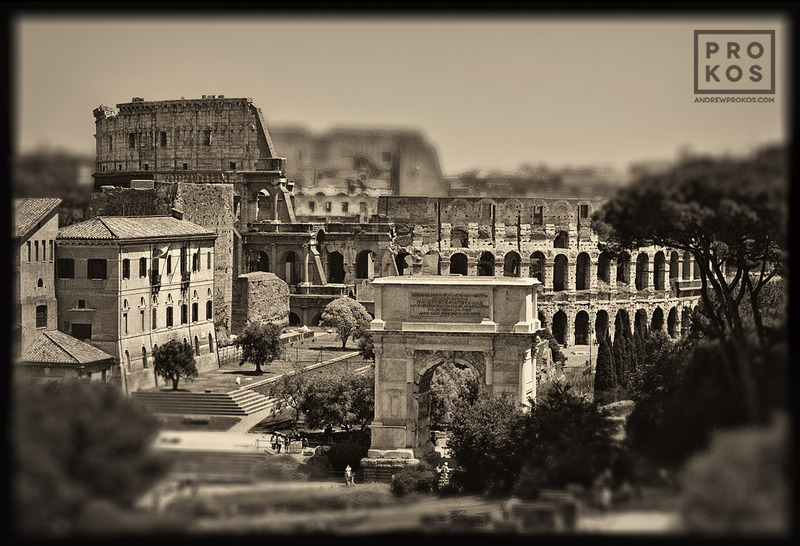 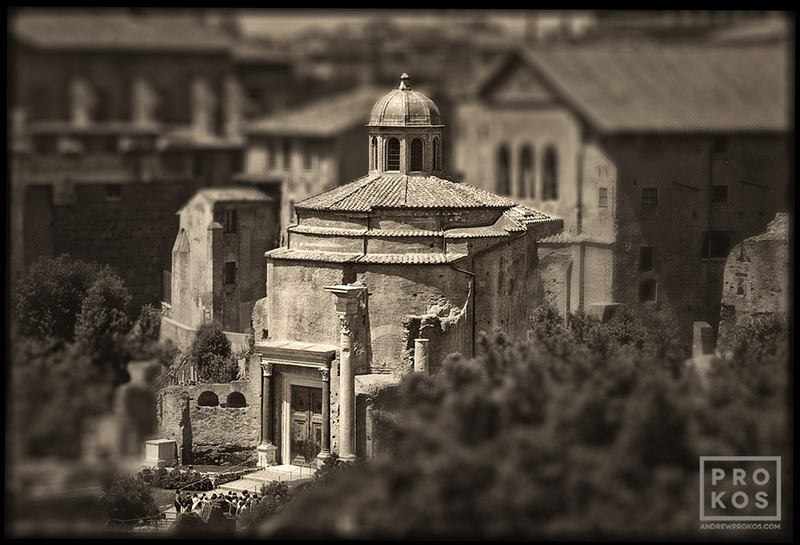 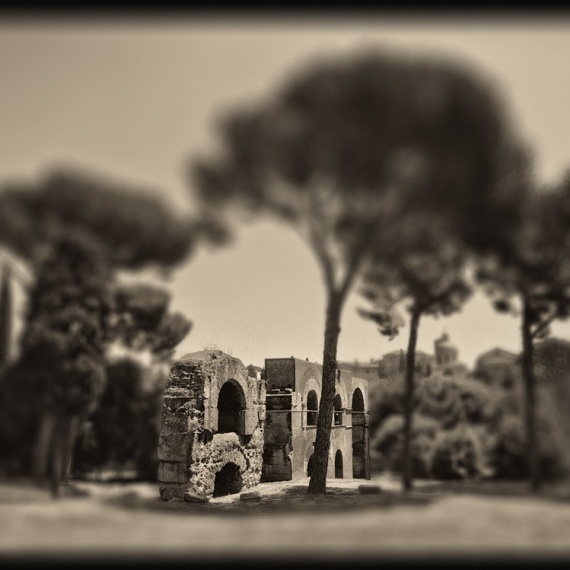 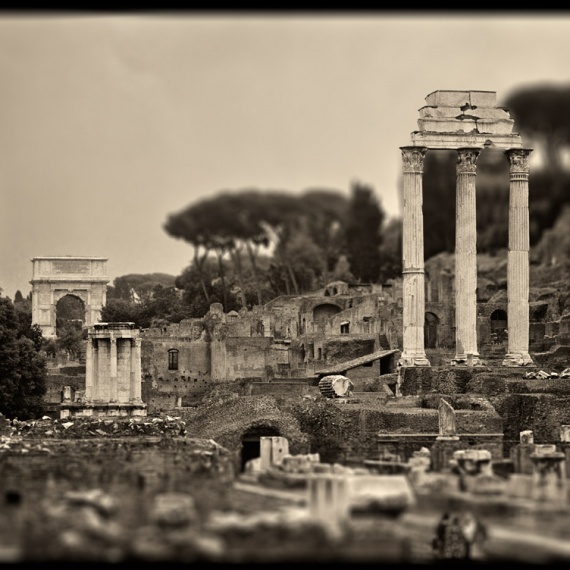 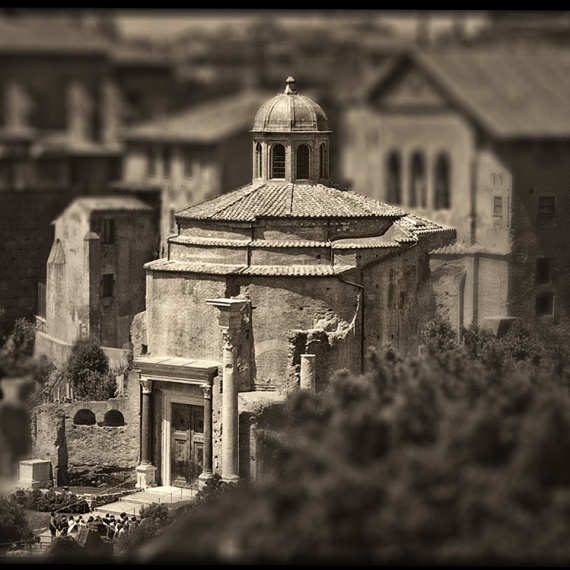 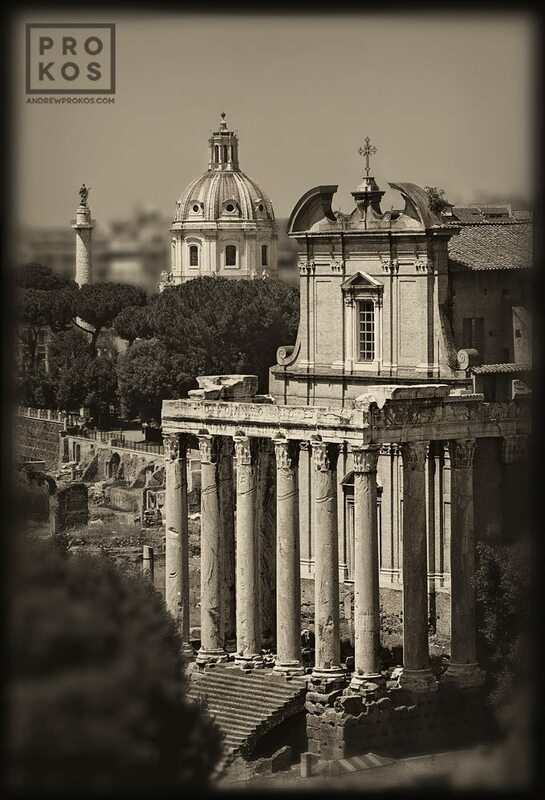 Forum Romanum is a reinterpretation of a series photographed in Italy in 2004. 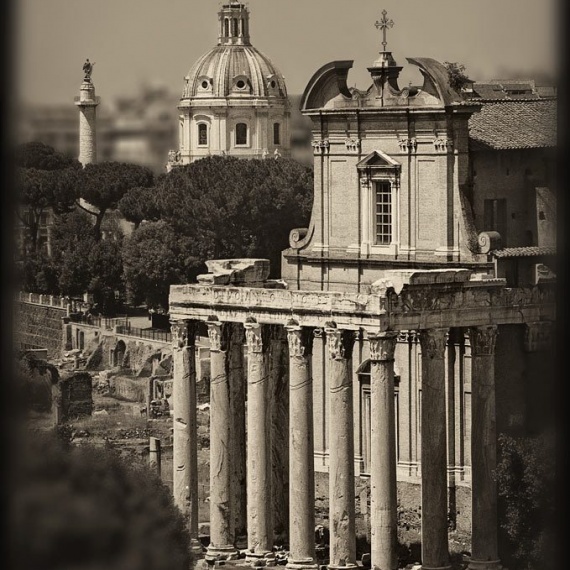 The series was originally presented as separate images of the Roman Forum and Palatine and Capitoline Hills. 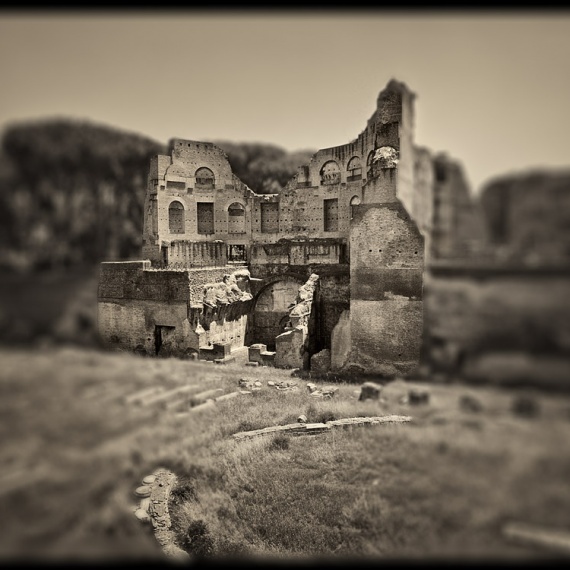 The current series was formulated in stages after experimenting with ideas on how to present the images in a more compelling way. 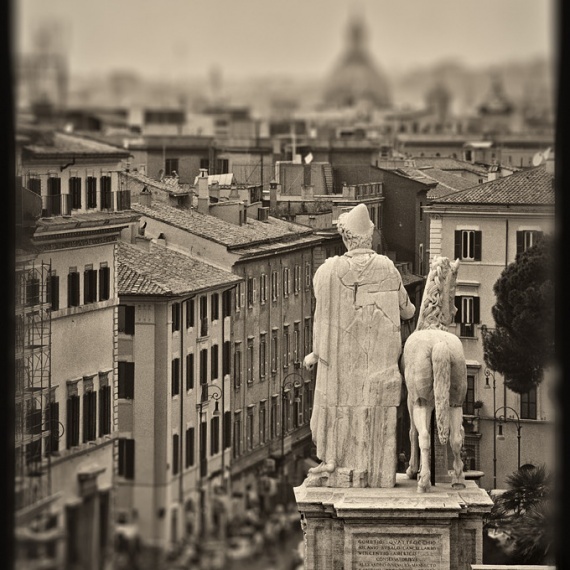 I started by toning the images in a low contrast platinum tint. 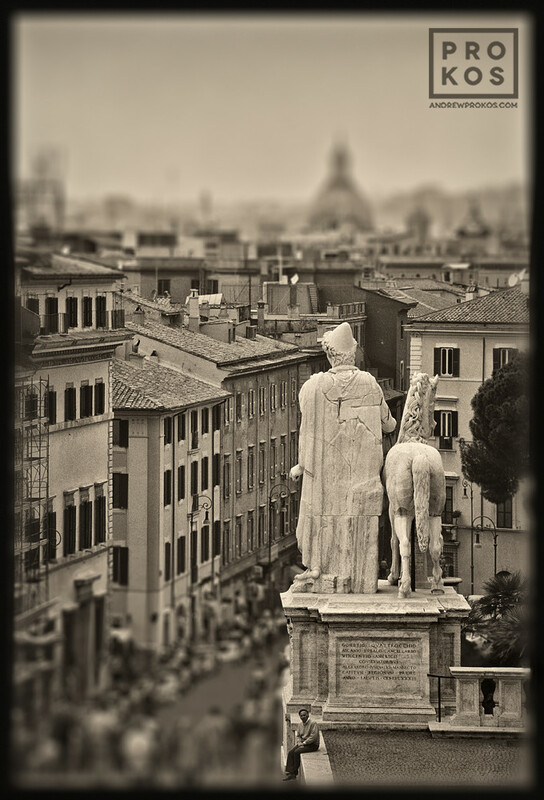 I used to achieve this sort of tone by researching toning formulas in old photographic manuals and hand mixing the formulas using dry chemicals I imported from Quebec. 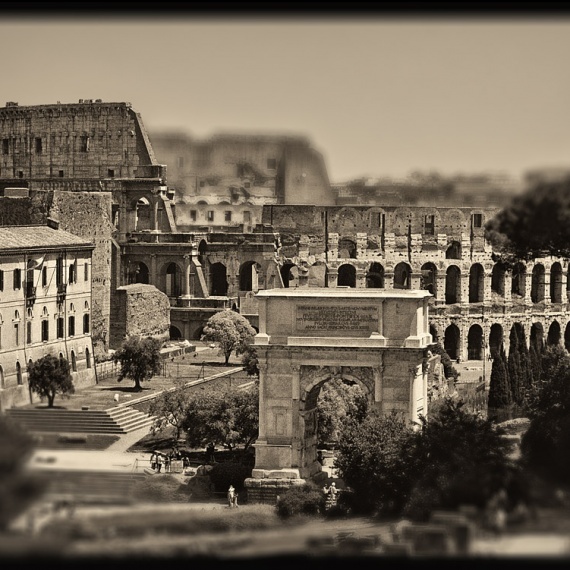 These days the toning is all done digitally, and the environmental and health risks associated with handling chemicals can thankfully be avoided. 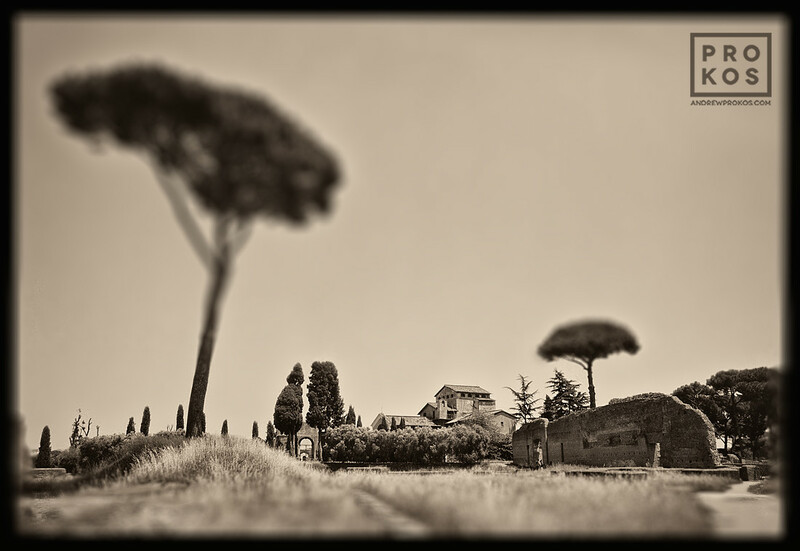 After the color palette had been established, I worked on tilt-shift effects to add a sense of depth and focus. 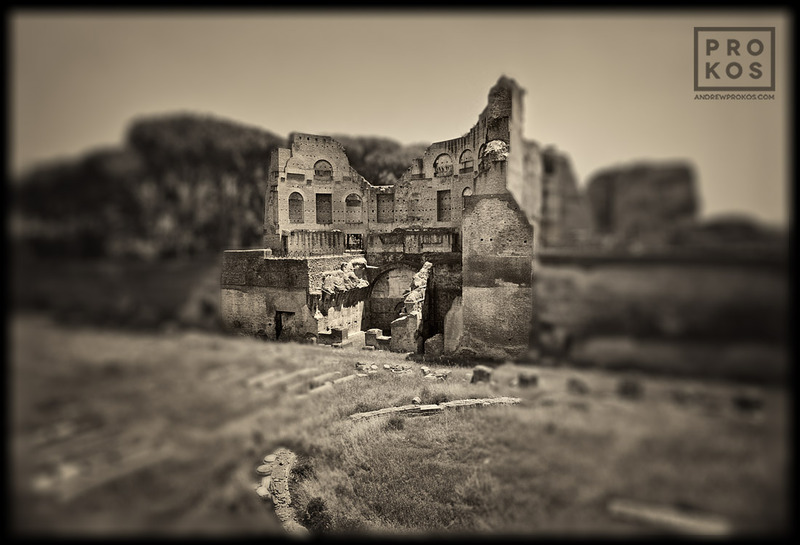 The series was not captured using a large format camera, however technology now offers us the ability to mimic this look dating back to the early stages of photography. 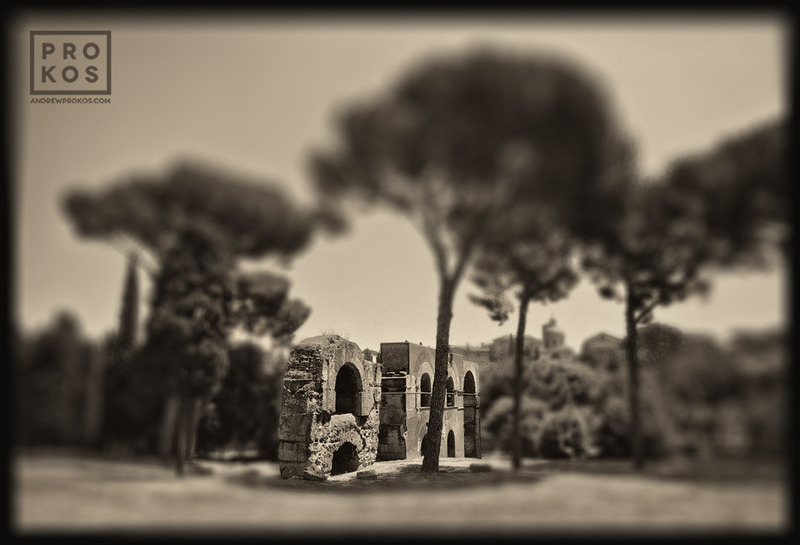 Importantly, the early renditions of these images had retouched out the groups of tourists parading through the ruins. 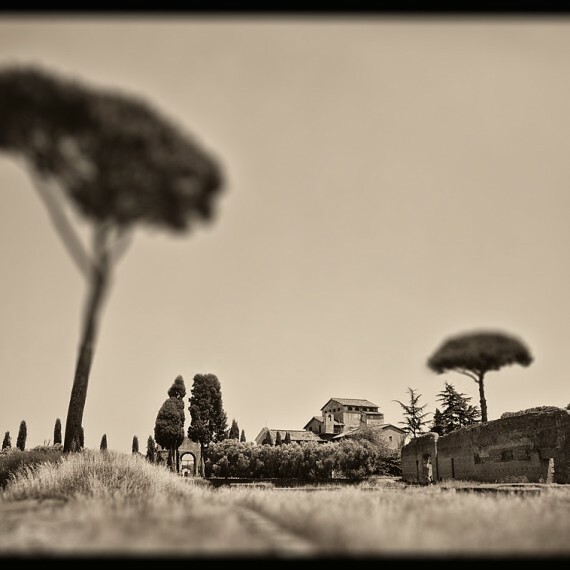 In this reinterpretation I decided to leave them in to provide a sense of scale, and to add a hint of humor to the images.